Rental property was very nice. Rental company has been great all 3 years we’ Used them. Only 2 items I’d like corrected are. 1 Many of dishes were chipped or cracked. Please replace with more durable and lighter material. 2 screen door on 2nd floor needs replacing. Thank you for sharing your review for Beachpointe 901. We are so pleased to have had you all as our guests over the years and we're delighted to know that you have had pleasant experiences as our guests! We thank you for your feedback and we will look into this. We hope to welcome you all back again soon as our guests here in beautiful Destin! The place was extremely enjoyable. The only negative is not having access to garage. With a several month stay I’d like to protect our car from the elements. Thank you for sharing your review. We are happy to hear that you all had an enjoyable stay in this beautiful townhouse! We are sorry that the garage isn't available for guests to use at this time. We hope that you all will stay with us again soon! This is our third time staying at a property of Harmony Beach. The location and price for a holiday weekend were both reasons for this choice. We will be back. 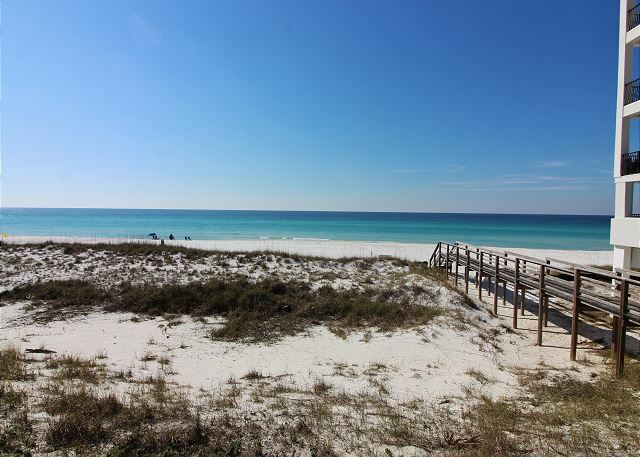 Who needs a hotel with all of the beautiful properties for rent along the Emerald Coast. Thank you for sharing your review for Beach Pointe #901 in Destin, FL. We are so pleased to know that you all had a "charming" stay with us here for your 3rd time and we're so happy to have had you all back as our guests here on the Emerald Coast! We hope #4 will be the best yet for your next stay with Harmony Beach Vacations and we hope to welcome you all back again real soon! Very nice! Townhome me and my family really enjoyed our vacations. Thank you so much. Thank you for sharing your review for Beach Pointe #901 in Destin, FL. We are very pleased to hear that you and your family had an enjoyable vacation stay in this beautiful home, and we thank you for staying with us! We hope to welcome you all back again soon as our guests for another wonderful beach vacation stay with us here on Florida's Emerald Coast! Unit was very nice, clean-and well furnished. The only negative I believe is not being able to use garage. With long stay, like snow birds, it would be nice to have vehicle protected from weather. Harmony is outstanding to work with. Thank you for sharing your review for Beach Pointe 901. We are so happy to know that you all enjoyed your stay in this beautiful home! We thank you for your kind words for our team as well; we are so glad that you were pleased with our services. We're sorry that you weren't pleased with not being able to use the garage, but we hope that this won't keep you from joining us again as our guests at this great home. We hope to welcome you all back again real soon here in beautiful Destin, FL! Condo was very nice, had everything we needed right there. While watching a movie could have used a little more comfortable seating. But I would definitely stay again. To the staff thank you for everything. Thank you for sharing your review. We are so happy to hear that you all had a nice stay with us and we're delighted that we were able to assist you in a way that you appreciated! 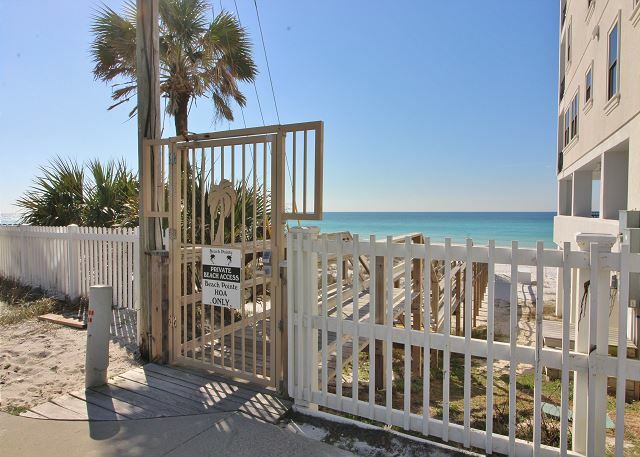 We hope to welcome you all back soon as our guests here on the Emerald Coast! Thank you for your review. We are delighted to hear that you all had a great stay with us at Beach Pointe 901! We would love to welcome you all back soon as our guests in Destin, FL! This townhouse was a perfect place for our Thanksgiving family get-together however the table only seats 4 and bar top 5 comfortably so doing a dinner for 12 was tricky. The table is also bar height just in case those unable to hoist themselves up on a bar stool. Hard to see this from pictures. Place was clean, maintenance addressed our issues promptly and ease to get into the place was easy. Door locks at each departing though so remember your code when you first enter. We almost locked ourselves out. The garage wasn't accessable to use. That isn't noted in the notes but should be for those that might think it's included. Parking is at a maximum in this complex so having the garage to park at least a car inside and a car in driveway would be helpful. Only other con commnent I might make is that coffee maker is old and cheap and two televisions in the bedrooms are the old big tv's and no tv in the bunkbed room, which would be helpful especially putting kids in that room. 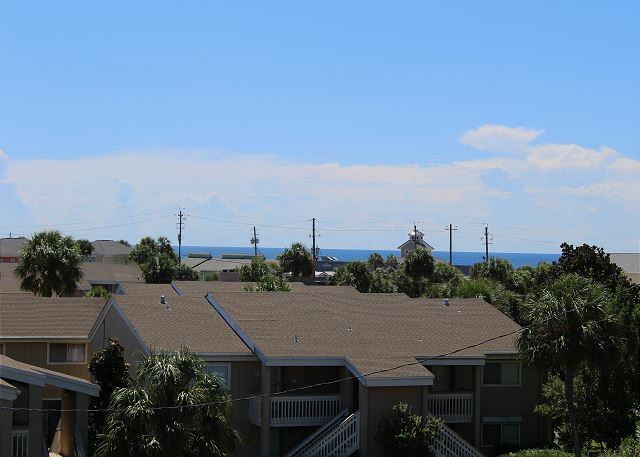 Pro's is how close this is to walk to the beach and you can hear the ocean from the townhouse and see a little of it. Thank you for sharing your review. We are happy to know that you all had a wonderful stay and that you enjoyed this beautiful home! The home is set up to accommodate 8 guests, though having additional guests over for a meal is fine and we would have been happy to bring you all some additional chairs for such an occasion. We appreciate your suggestions about the tv's and the coffee maker. We do share guests' feedback with homeowners for them to consider as well. We thank you again and we hope to have you all back soon as our guests on the Emerald Coast! My husband and 3 children (1 older teenager and two young adults) had a wonderful time at this unit. 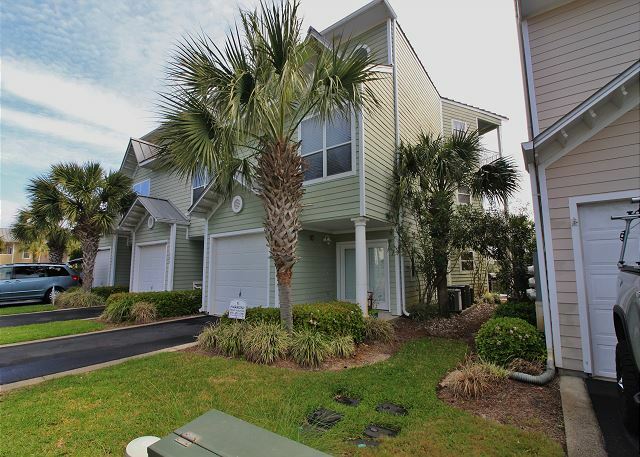 It was close to the beach and convenient to surrounding restaurants, shopping, and entertainment. The condo was very spacious and spread out so that we could all have our privacy when needed. The only issue that we were not 100% satisfied with was the master bedroom tv did not have working cable and we could not get any clear channels. This I'm sure would have been rectified if we had reported it, but we did not, as we were satisfied with spending time together in the family room with our kids. After all that's why we brought them with us! The staff at check in were more than helpful and polite. We will definitely consider staying here again. Thank you for sharing your review for Beach Pointe 901. We are so happy to know that you and your family had such a wonderful getaway in this beautiful home and that you were able to get in some good quality family time! We do apologize for the difficulty with the cable in the bedroom, and we certainly would have dropped by to assist, but it sounds like you all did even better with enjoying each other's company. We thank you for letting us know though so that we can remedy this. We would be delighted to welcome you all back soon for another wonderful stay with us in Destin, FL! Very comfortable place and close to the beach! This was a very comfortable townhouse close to the beach. We had trouble with the ice maker but they sent someone over to fix it and we didn't have to be there for that The walk to the beach was very short which was nice since we had two small kiddos with us. Comfy beds and the 3rd floor was huge!! Thank you for sharing your review for Beach Pointe 901. We are so pleased to hear that you all had a wonderful and comfortable stay with us in this beautiful home, and that you enjoyed the beach being so close. We would love to welcome you all back soon as our guests in Destin, FL! Our stay was amazing. The facility was clean and extremely comfortable. The personnel was courteous and very accommodating. We would go back in a minute and stay in the same condo. Loved it!! Thank you for your kind review. We are delighted to hear that you all had an amazing vacation and the Best Vacay ever! We appreciate having you all as our guests and we hope to welcome you all back very soon as our guests to Beach Pointe 901! Overall this was a nice property in a good location. I would recommend it to others. Maintenance was required during our stay and staff responded quickly to address our concerns. My recommendation for this property would be to trash the CRT televisions in the guest and master bedrooms and replace them with LCD/LED tvs. Thank you for your review and suggestion. 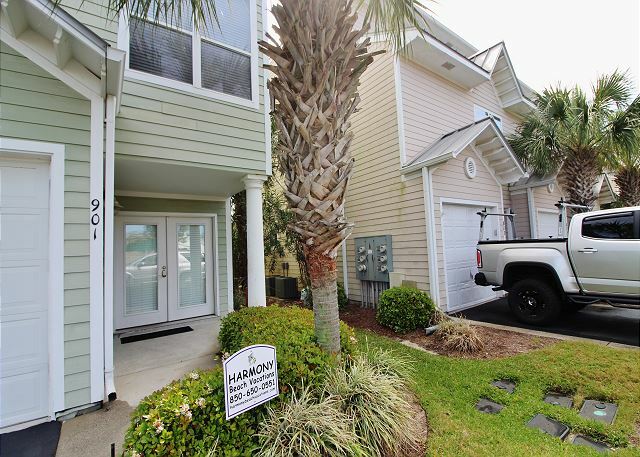 We appreciate having you as our guests at Beach Pointe in Destin, FL and we're pleased to hear that you all had a pleasant stay with us in this beautiful home! We hope to have you all back very soon as our guests in beautiful Destin, FL! family time in the sun!!! We had a great time in Destin this year and the Beach Pointe 901 unit made it even nicer. 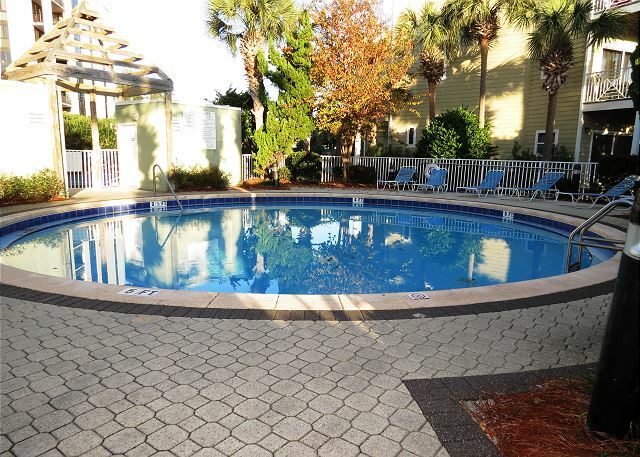 It was close to the beach and had a great pool very close to the unit. Quality of unit was very good. I would recommend to everyone wanting a great place to stay. Thank you for your review of Beach Pointe 901. We are very pleased to hear that your family had a great time of Fun in the Sun in Destin, FL and we would be very happy to have you all back soon as our guests for another wonderful Beach Vacation! Condo near the beach. Unit 901. Our rental condo was spotless when we arrived. It was very well equipped for our extended stay . The management teams was very responsive,and the owners were very nice. Our guests all had the same reaction: "This is beautiful!" Great condo. Great owners. Great management team. Great neighbors. We've already reserved the condo for next year. This place was phenomenal! Me and my family really enjoyed spending Christmas at this vacation rental. The townhouse was very spacious & able to accommodate my whole family! 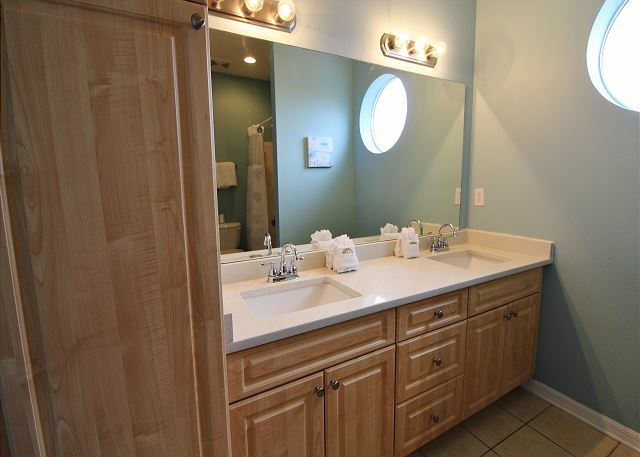 It was a beautiful townhome with easy access to the beach. Me and my family would definitely stay here again! Thank you so much for sharing your review. We are so pleased that you all enjoyed your family vacation with us! We welcome you and your family back anytime as our guests! We really enjoyed our visit. The condo was very clean and nice and had all of the amenities we could want. The walk to the beach is very short and easy. The house had everything we needed including beach towels (which I had forgotten). There are even a few restaurants within walking distance. We would glady stay here again. Thank you for sharing your review. We appreciate having you as our guests and we are so pleased to hear that you enjoyed your stay with us! We welcome you back anytime! The house was clean and close to the beach. Did not realize garage would not be accessible and the layout is a little odd but we had enough room and enjoyed the house. Thank you for sharing your review. We are so pleased that you all enjoyed your stay with us and we would love to have you back soon as our guests at the Beach! Great Stay. House was in good location. Very Clean. Thank you for sharing your review. We are so delighted that you all enjoyed your stay and we would love to have you back as our guests at the beach! We enjoyed our stay. The condo beautiful & spacious. It served all our needs & slept our group of 10 comfortably. The beach is 2 mins away, walking distance. We loved it. Thank you for sharing your review. We appreciate you staying with us and we hope to have you back soon as our guests in Destin! Very nice location and beautiful three-level property. We got to meet the owners who were there changing out furniture, etc. and there were exceptionally nice. The rental staff was excellent and really saved our vacation that was being runied becasue of the horrible experience with a rental company that was awful and the property that we had been rented was in terrible shape. It was so bad that Harmony saved us from having to pack up and come home because there was nothing else available for us to rent. They really saved the day for us and we will forever be grateful for their help, professionalism, etc. They will always be our rental company that we choose when booking. They are great!! Thank you for sharing your kind review. We appreciate you staying with us and we would love to have you back soon as our guests on the Emerald Coast! Second time to stay in this town home . It is very nice clean and comfortable. 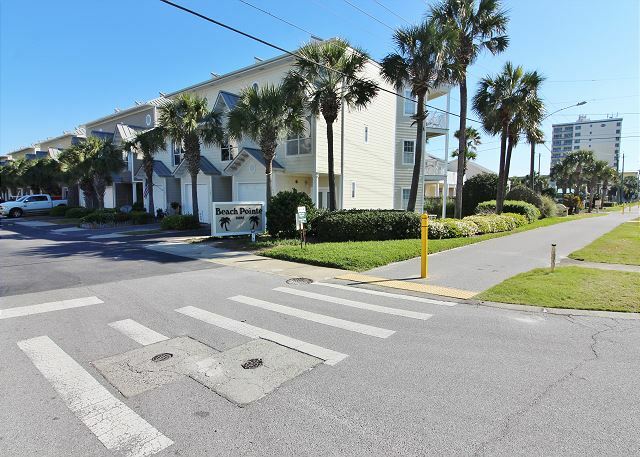 Great location easy access to beach and downtown, shops and restaurants. Had an issues with wifi that came promptly to fix it. Would definitely stay there again and would defining use harmony beach vacations again. Thank you for sharing your review. We appreciate you staying with us and we hope to have you back as our guests soon! I booked it very last minute for the Memorial Day weekend, but it was a very nice place...actually much nicer in person than it appeared in the pictures. There was some kind of error and I was charged twice for the total bill, and it took me calling about it twice to get it taken care of. The pool was small but a nice bonus, and the walk to the beach was only like 3 minutes. Be aware that there is only 1 parking space, and you do not get the use of the garage, so our party of nine required two vehicles and the neighbors parked on the sidewalk in front of our rental, so we were obliged to park down the street. On the plus side the unit was the cleanest one I have ever rented which is really saying something. This unit is 3 floors...first floor is the garage, a bedroom with a double bed, a bathroom, and a closet with an over/under washer-dryer combo unit. 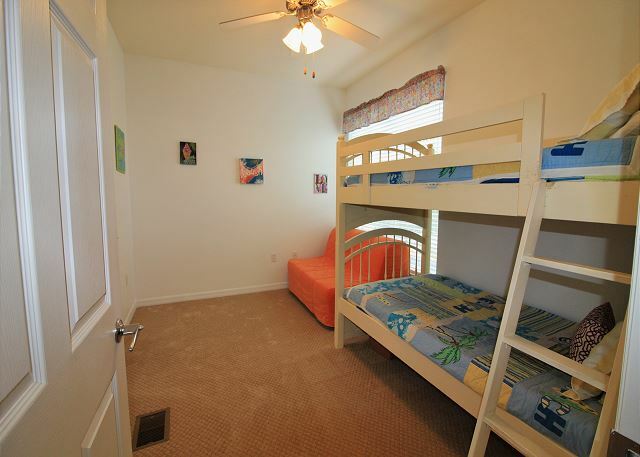 Second floor is the family-dining-kitchen, a small bedroom with bunk beds and a bathroom. I wished that it had a second set of bunks instead of a long dresser so all the kids could be in the same room. The 3rd floor is a huge master suite with a king bed and a sleeper sectional. The couch in the family room was also a sleeper. Each floor had a balcony and while the kitchen isn't really decked out for cooking -you even need to bring your own salt and pepper! There are plenty of plates and silverware. There is a gas grill on the first floor balcony, but only half of it worked, so pull up a chair if you are coking for the family. There were doggy refuse bins along the opposite side of the street which was so nice when we walked our dogs, and a grassy area in the back too. We have spent the last 2 months enjoying our stay in this townhouse. We really appreciate the owners and Harmony Beach for their excellent care and concern that we have a great stay here. We also appreciate being able to have our dog with us. Thank you for your review! We appreciate having you stay with us and we're glad you all had an excellent stay in Destin! Hope to have you back soon! Thank you Harmony. We had a great family vacation. The location is great. You can't see the beach from the balcony because of the way it faces, but it is still very close. The location is very centralized to almost anywhere you would like to go. We thought we were getting a garage with our stay, but the garage isn't part of the package. We had such a great time the family wants to start making this an annual trip. We appreciate your feedback. Thank you for staying with Harmony Beach Vacations! We look forward to your next stay with us at Beach Pointe 901! The house was great - roomy and nicely laid out. Very clean an comfortable. The balcony/porch on each floor was an added bonus. Only a minute walk to the beach. We would definitely stay here again! Loved the location. Real close to the beach. Beautiful home. Nice & Comfy. We will definitely be staying here again. This is the second time we use Harmony Vacations and first time at Beach Pointe 901. The townhouse had plenty of room for three famalies. Easy access to the beach that was less than a 50 yard walk. During the peak of summer there where a lot of people but having teh convinince of a major highway but still tucked away was great. I will use Harmony Vacations again because of their pricing and great customer service. They dont skimp on anything and provude almost everything except the food in the fridge!